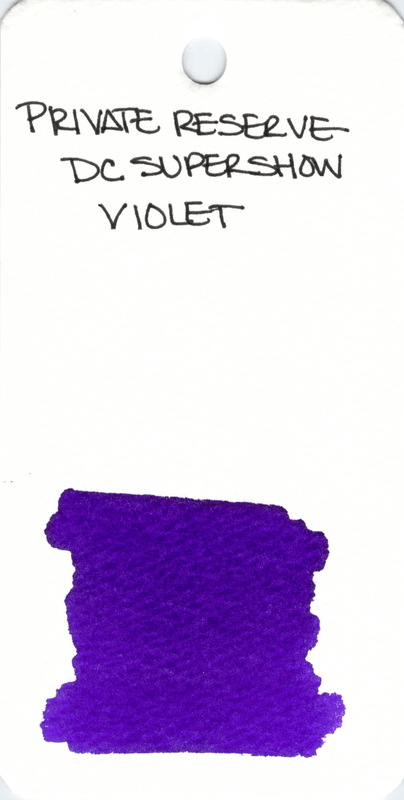 I find it hard to argue with color as bright as DC Supershow Violet. This entry was posted in INKS and tagged ink swab, private reserve, purple by Christine (Pentulant). Bookmark the permalink. This shade blows me away.